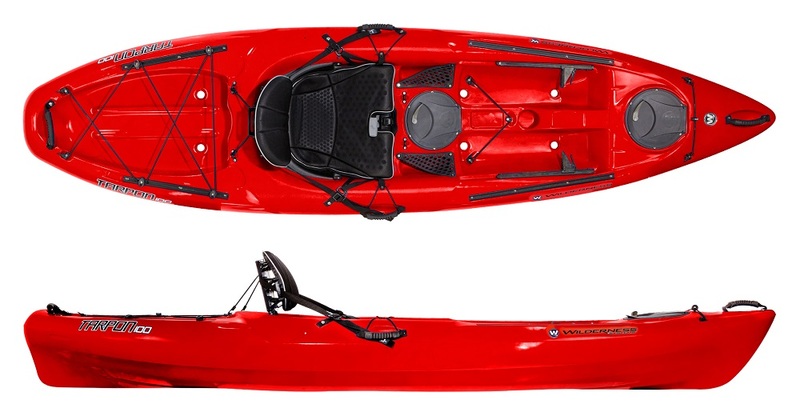 The Tarpon 100 is the 'Deluxe' sit on top. With a fixed in seat that can be adjusted, sliding footrests, two hatches and slide traxs for fixing rod holder too. 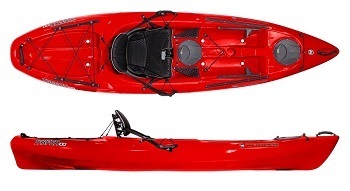 The Wilderness Systems Tarpon 100 is a superb all round sit on top for the family, compact & stable. 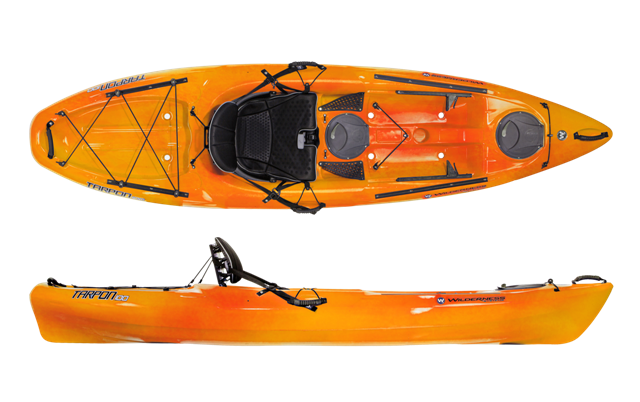 The Tarpon 100 is one of most popular sit on tops. The seat is fixed into position, so it wont move under you, it has height adjustable thigh supports and the backrest is height adjustable by one handed operation pull cord situated between you legs on the front of the seat. 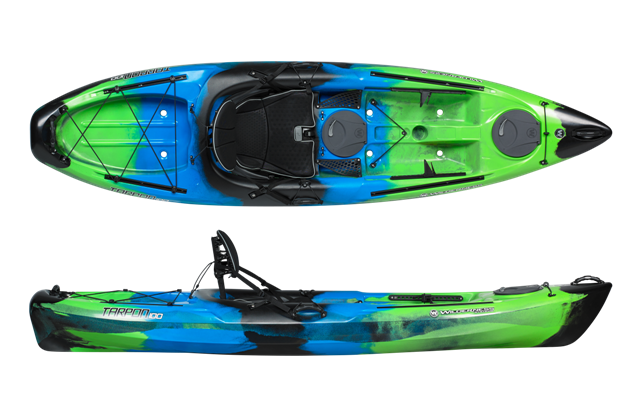 Giving you the most customisable seating position of any sit on top kayak. The hatch covers are hinged, so you'll never loose them and they have a nice twist locking mechanism to close them securely. The footwell is smooth for comfort if you wish to move up on to your knees and are fitted with keeper footrest for that correct sitting position. 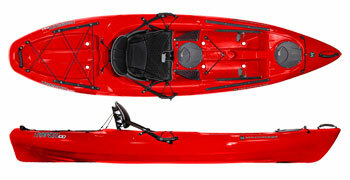 Rear storage area for dry bags, fishing or snorkelling equipment. 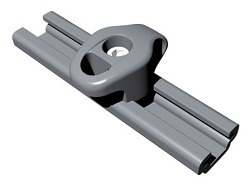 If you or your husband/partner is in to a bit of fishing, they can fit two flush mounted rod holders just behind the seating position or if you don't want to drill into the boat, then use the revolutionary Slide Trax. Grooved rails are fitted flush into the hull where you can slide your Scotty rod holders, Fish Finder or anything else. 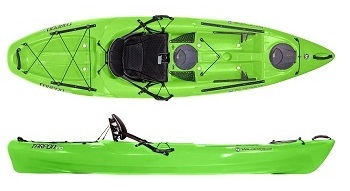 Wilderness Systems provide a Mounting Plate for an easy fit. Click here to read our review. 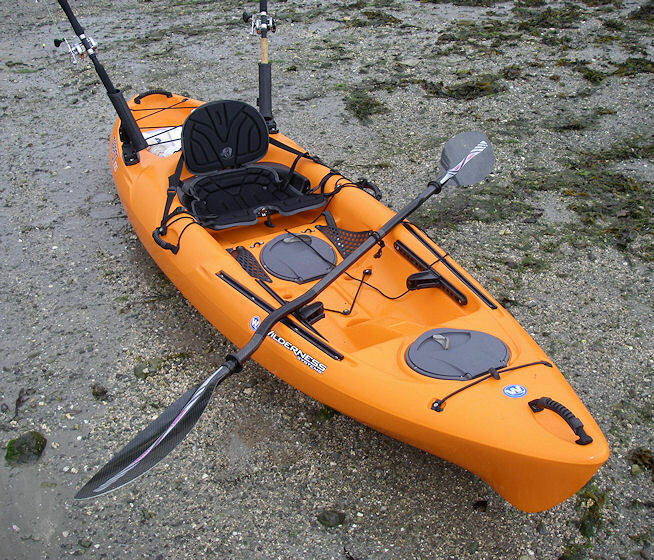 Side Carry Handles with Paddle Holder. Length: 10' / 305 cm. Width: 30.5" / 77 cm. Weight: 55 lbs. / 25 kg. Tie downs for Wilderness Systems Slide Trax. 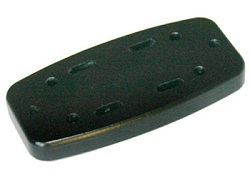 Track mounting plate for Accessories and rod holders. 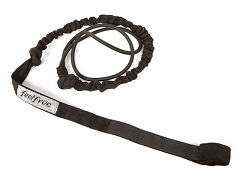 Keep your paddle safe and secure by using a paddle leash. 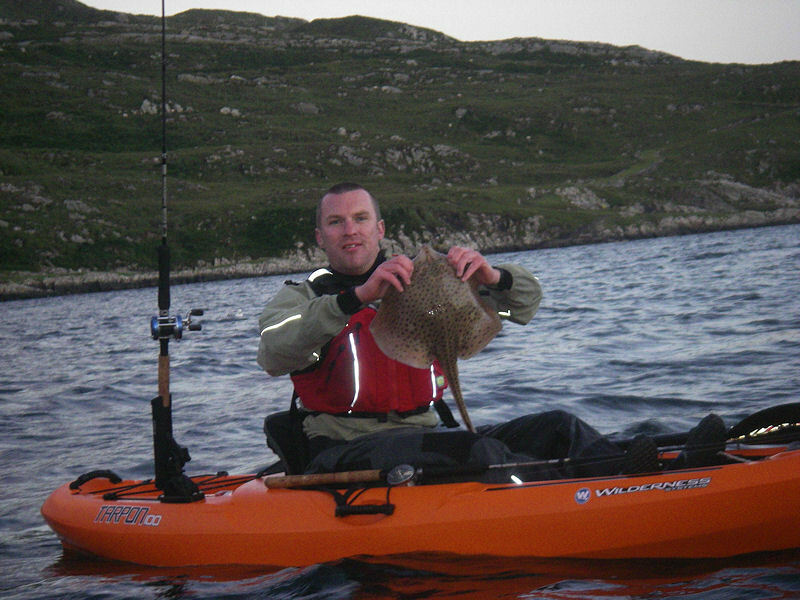 When paddling white water or rough seas you can easily end up letting go of your paddle! 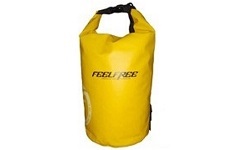 Tough and durable dry bags with a roll down dry seal. Available in a range of sizes and colours. 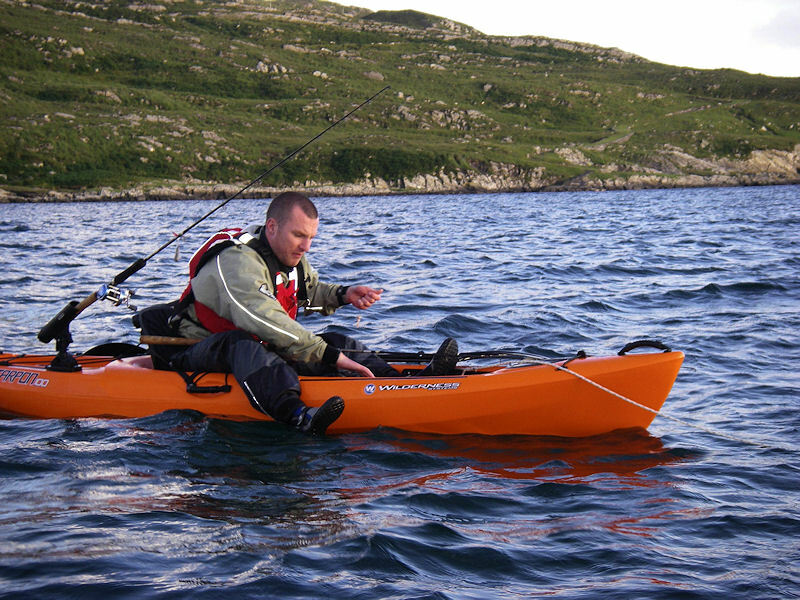 We offer a delivery service for the Wilderness Systems Tarpon 100 throughout the UK & Ireland to home and work addresses. Buy a Wilderness Systems Tarpon 100 online from our website and collect from our shop at Lee Mill, Plymouth, Devon or you can collect from any branch within the Canoe Shops Group. There is no cost associated with this.